The U.N. said around 2,00,000 Syrians have fled the embattled city of Aleppo since intense clashes between government forces and rebels began 10 days ago. The government forces turned mortars, tank and helicopter gunships against rebel positions on 30 July, pressing ahead with a counter-offensive to wrest back control of neighbourhoods taken by rebels in Syria’s largest city and commercial hub. 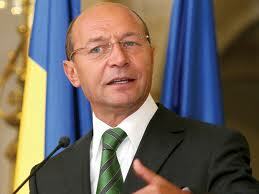 Romanian President Traian Basescu escaped impeachment on 30 July, when a referendum on his removal from office fell short of the 50 per cent turnout threshold, despite a resounding vote for his dismissal. His arch rival, Romanian Prime Minister Victor Ponta , who has led efforts to push Mr. Basescu from office warned he would refuse to work with Mr. Basescu, arguing that he had lost all legitimacy. The Myanmar government on 30 July insisted that the Rohingya minority group, the target of communal violence in the month of July, have no claim to Myanmar citizenship. “They are not included among our more than 130 ethnic races,” Myanmar Immigration Minister Thein Htay told a press conference. Since 1982, the government has classified an estimated 750,000 Rohingyas as stateless Bengali Muslims from neighbouring Bangladesh. China pledged 20 Billion Dollar Loan to Africa: In a move aimed at strengthening its economic ties with the African continent, China pledged to give 20 billion dollar loan to African countries over the next three years. The announcement about the credit line was made by the Chinese President Hu Jin Tao at the opening session of the fifth Forum on China-Africa Cooperation (FOCAC) in Beijing on 19 July 2012. China had pledged 10 billion dollar loans at the previous China-Africa summit in 2009. Chinese President while addressing the conference announced to increase Chinese assistance to Africa by building agricultural technology demonstration centres, training 30000 personnel and offering 18000 scholarships. To provide better medical amenities in the continent, China will also send 1500 medical staffs to the continent. Heads of state and representatives from 50 African countries attended the conference. Super rich have 20 trillion dollars in tax havens: A news report by tax researchers estimates the amount of black money deposited by a `global super-rich elite` in offshore accounts is as much as 13 trillion pounds (nearly 20 trillion dollars) – equivalent of the combined GDP of the US and Japan. The report by Tax Justice Network released to The Observer is said to be the `most detailed estimates yet of the size of the offshore economy`. Revolt in Madagascar: A group of mutinous soldiers in Madagascar took over a military camp near the Indian Ocean Island’s main airport on 22 July, and shot an army officer sent in to negotiate their surrender, the Defence Ministry said. Government soldiers surrounded the base and launched an attack on the mutineers by Sunday afternoon after attempts to negotiate failed, the military said. It was not immediately clear how many mutinous soldiers were holed up inside the base. The Defence Ministry said the mutiny is led by a bodyguard of former Defence Minister Noel Rakotonandrasana, who was jailed after taking part in a 2010 mutiny. US hosts 19th International AIDS Conference: The world`s largest meeting on HIV/AIDS opened on 22nd July in Washington with calls to speed up the global response to the three-decade-long epidemic that killed 1.5 million people last year. The 19th International AIDS Conference drew around 25,000 people, including politicians, scientists and activists, as well as some of the estimated 34 million people living with HIV who will tell their stories. Among them is the only man who has achieved a functional cure of HIV though a bone marrow transplant, American Timothy Brown, who is scheduled to appeal for a fresh push toward a cure during the six-day conference that runs until July 27. Other high-profile appearances include Secretary of State Hillary Clinton, former president Bill Clinton, former first lady Laura Bush, singer Elton John, philanthropist Bill Gates and actress Whoopi Goldberg. Suu Kyi makes first parliament speech: Myanmar opposition leader Aung San Suu Kyi used her first speech in Parliament on 25th July, to call for laws protecting the rights of the country`s ethnic minorities. The Nobel Peace Prize winner and democracy crusader won her first seat in Myanmar`s Parliament in a historic April by-election that was seen as a key step in the country`s transformation from military rule to fledgling democracy. Suu Kyi stood from her seat toward the back of Myanmar`s Parliament to call for an end to discrimination against ethnic minorities as part of the "emergence of a genuine democratic country." "Based on the spirit of equality, mutual respect and understanding," she said, "I would like to urge all lawmakers to enact necessary laws or amend laws to protect the rights of ethnic nationalities." Suu Kyi`s comments came in support of a motion by a ruling-party lawmaker from the ethnic Shan state on upholding ethnic minority rights. She referred to soaring poverty rates in Chin, Kachin, Shan and Rakhine states, noting that protecting minority rights required more than just maintaining ethnic languages and cultures. "The high poverty rates in ethnic states clearly indicate that development in ethnic regions is not satisfactory - and ethnic conflicts in these regions have not ceased," she said during her brief speech. Suu Kyi did not mention last month`s communal violence in western Myanmar between Rakhine Buddhists and Muslim Rohingyas that left at least 78 people dead and prompted a government crackdown in the region. The Nobel Peace Prize winner has faced rare criticism from rights groups for not offering stronger support for the Rohingya, who are considered by most in Myanmar to be illegal immigrants from Bangladesh and are not one of the recognised ethnic groups of Myanmar. India bans US-sanctioned Iranian ships to enter its water: India has prohibited US-sanctioned Iranian ships from entering its water as it is hampering crude oil imports from Iran. In early July, the government had allowed crude oil import from Iran in ships arranged by Tehran after European sanctions evaporated insurance cover to domestic shippers. However, Mangalore Refinery and Petrochemicals Ltd (MRPL) and other state refiners are allowed to import oil from Iran on cost, insurance and freight (CIF ) basis -- wherein Tehran was to arrange for ships and insurance. “We were to import four tankers or cargoes of about 90,000 tonne each from Iran in July. But we could only get one as the CIF approval was withdrawn,” MRPL Managing Director PP Upadhya. US has sanctioned National Iranian Tanker Co and its 58 vessels -- some of which have been reflagged in other nations to put off international sanctions. Egypt’s President Mohamed Morsi elected fifty year old Hisham Kandil as the country’s Prime Minister. Mohamed Morsi who became the fifth President of the Republic of Egypt on 24 June 2012, is the first to have been freely elected in the country. In a move aimed at strengthening its economic ties with the African continent, China pledged to give 20 billion dollar loan to African countries over the next three years. The announcement about the credit line was made by the Chinese President Hu Jin Tao at the opening session of the fifth Forum on China-Africa Cooperation (FOCAC) in Beijing on 19 July 2012. China had pledged 10 billion dollar loans at the previous China-Africa summit in 2009. Chinese President while addressing the conference announced to increase Chinese assistance to Africa by building agricultural technology demonstration centres, training 30000 personnel and offering 18000 scholarships. To provide better medical amenities in the continent, China will also send 1500 medical staffs to the continent. Heads of state and representatives from 50 African countries attended the conference. A news report by tax researchers estimates the amount of black money deposited by a `global super-rich elite` in offshore accounts is as much as 13 trillion pounds (nearly 20 trillion dollars) – equivalent of the combined GDP of the US and Japan. The report by Tax Justice Network released to The Observer is said to be the `most detailed estimates yet of the size of the offshore economy`. A group of mutinous soldiers in Madagascar took over a military camp near the Indian Ocean Island’s main airport on 22 July, and shot an army officer sent in to negotiate their surrender, the Defence Ministry said. Government soldiers surrounded the base and launched an attack on the mutineers by Sunday afternoon after attempts to negotiate failed, the military said. It was not immediately clear how many mutinous soldiers were holed up inside the base. The Defence Ministry said the mutiny is led by a bodyguard of former Defence Minister Noel Rakotonandrasana, who was jailed after taking part in a 2010 mutiny. The world`s largest meeting on HIV/AIDS opened on 22 July in Washington with calls to speed up the global response to the three-decade-long epidemic that killed 1.5 million people last year. The 19th International AIDS Conference drew around 25,000 people, including politicians, scientists and activists, as well as some of the estimated 34 million people living with HIV who will tell their stories. French lawmakers voted to reduce the salaries of President Francois Hollande and Prime Minister Jean-Marc Ayrault by 30 percent as part of a series of budget-cutting moves. The lower house National Assembly thus endorsed one of the first decisions made by Hollande after he came to power in May, bringing his and his prime minister`s monthly salaries down from 21,300 Euros ($26,100) per month to 14,910 Euros. Government ministers will also see their pay cut by 30 per cent to 9,940 Euros a month. Earlier in the day, the lawmakers backed a raft of other measures abolishing tax breaks and taxing the wealthy as the new Socialist government pursued efforts to kick start the economy with a tax-and-spend programme. The measures were part of the first budget bill presented by Hollande`s government since he unseated Nicolas Sarkozy. According to the findings of the report Trends in global CO2 emissions, global carbon dioxide (CO2), emission increased by three percent in 2011. The three percent increase in CO2 took the total amount of CO2 in air at an all-time high of 34 billion tones. The European Commission’s Joint Research Centre (JRC) and the Netherlands Environmental Assessment Agency (PBL) released the report on 19 July 2012. The United States with 17.3 tones per capita remains one of the top CO2 emitters, while, China, the world’s most populous country, average CO2 emissions increased by nine percent to 7.2 tones per capita. The 27-nation European Union emitted 7.5 tones of CO2 per person. Emissions from 34-member Organization for Economic Co-operation and Development (OECD) countries account for only one third of global CO2 emissions in 2011. China (29 percent), the United States (16 percent), the European Union (11 percent), India (six percent), the Russian Federation (five percent) and Japan (four percent) were the top CO2 emitters in 2011. The 15-member powerful UN body, the Security Council, has been unable to adopt a resolution that would have threatened sanctions on Syria, following the negative votes of China and Russia - both permanent members. The negative votes came on 9 July, amid pleas for a concerted and united action seeking an immediate halt to the ongoing violence in Syria. This is the third double-veto on the ongoing crisis in Syria. Eleven of the Council members, including India-whose nonpermanent membership ends in December--voted in favour of the resolution`s text. Two others - Pakistan and South Africa - abstained. A veto by any one of the Council`s five permanent members means a resolution cannot be adopted. In a latest jab at Pakistan by the US, the House of Representatives has unanimously voted to cut American military aid to Islamabad by USD 650 million as Republicans sought to tamp down demands for deeper reductions. The amendment to cut the aid, which was proposed by Republican Congressman Ted Poe, passed on the floor in a voice vote. Poe had demanded a USD 1. The seventh G20 summit took place in the Mexican City Los Cabos on 18-19 July 2012. The summit was attended by the leaders of 20 nations including South Africa, Canada, India, Mexico, United States, China, Japan, South Korea, Russia, Turkey, Argentina, Brazil, India, Indonesia, Saudi Arabia, France, Germany, Italy, United Kingdom, and Australia. The G 20 Summit, one of the key important multilateral event, was held to discuss the prominent economic issues such as eurozone crisis, poor scenario of global economic growth and faltering international financial systems. The participant nations and world bodies also ratified the Los Cabos Action Plan for growth and employment. UNAIDS Report 2012 released on 18 July 2012, states that, new HIV infections among children are declining at a steady rate. The report noted that about 330000 children were newly infected in 2011, which indicated a 24 percent drop in the new HIV case among children since 2009. Report asserted that nearly 60 percent of the 1.5 million pregnant women living with HIV in poor countries received effective anti-AIDS medications last year, which lowered the chances of passing on the virus to their babies. As per the report about 34.2 million people worldwide were living with the AIDS virus at the end of 2011. UNAIDS, the Joint United Nations Programme on HIV/AIDS, is an innovative partnership that leads and inspires the world in achieving universal access to HIV prevention, treatment, care and support. UNAIDS came into existence in 1994, has its headquarter in Geneva, Switzerland. Michel Sidibe is the Executive Chairman of UNAIDS. Tokyo Conference pledged to provide 16 Billion Dollar Aid to Afghanistan Hoping to stabilise Afghanistan`s future after the foreign troops` exit, international donors on 8 July met in Tokyo and pledged to shell out USD 16 billion in Afghan aid. Informal sources said, the money will come with conditions to ensure it doesn`t fall victim to rampant Afghan corruption and mismanagement.The Tokyo donors conference to discuss aid for Afghanistan beyond 2014, was attended by representatives from about 80 countries and international aid organizations, including the World Bank and the Asian Development Bank. A follow-up meeting is to be held in Britain in 2014. Though the US didn`t mention any exact moneatry figure for their expected aid, but an American official traveling with Hillary Rodham Clinton had spoken ahead of the event, on condition of anonymity, and said USD 4 billion per year would be promised from 2012 through 2015. Japan, the second-largest donor, says it will provide up to USD 3 billion through 2016. Germany has announced it will keep its contribution to rebuilding and development at its current level of USD 536 million a year, at least until 2016. The Asian Development Bank announced it is providing USD 1.2 billion through 2016.
International Criminal Court (ICC), located at The Hague has awarded Thomas Lubanga, a Congolese warlord, 14-year imprisonment on 10 July 2012. Judges at the ICC found Thomas Lubanga guilty of recruiting and using children in his Union of Congolese Patriots militia. Lubanga had led the Union of Congolese Patriots, an ethnic militia in the violent struggle in the Ituri region and its main town of Bunia. The conflict, which began in 1999, claimed the life of about 60000 people in the country.Lubanga, who had used children as the soldiers during the violent struggle in Congo`s eastern Ituri region in 2002-2003 was convicted for war crime. He is the first person to be convicted by the International Criminal Court (ICC) since it was established in 2002. He was arrested by UN peacekeepers, in March 2005. Asean summit ended in failure: Days of heated diplomacy ended in failure as splits over territorial disputes with China prevented Southeast Asian nations from issuing their customary joint statement at a summit on 13th July. Foreign Ministers from the 10-member Asean bloc have this week tried to hammer out a final communique in Cambodia, which has held up progress on a draft code of conduct aimed at soothing tension in the flashpoint South China Sea. China claims sovereignty over nearly all of the resource-rich sea, which is home to vital shipping lanes, but the Philippines, Vietnam, Malaysia and Brunei, among others, have competing claims in the area. United Nations Secretary General Ban Ki-moon released United Nations Millenium Development Goal 2012. Report on 2 July 2012. The report noted that three important targets on poverty, slums and water have already been met three years ahead of 2015, the target year. On the front of poverty, the report stated that for the first time since poverty trends began to be monitored, both the number of people living in extreme poverty and the poverty rates have fallen in every developing regionincluding sub-Saharan Africa, where rates are highest. Preliminary estimates indicate that in 2010, the share of people living on less than a 1.25 dollar a day dropped to less than half of its 1990 value. The target of providing clean drinking water to a substantial population of the world also saw a considerable achievement as the proportion of people using improved water sources rose from 76 per cent in 1990 to 89 per cent in 2010, which means more than two billion people across the world today have the access to sources of clean drinking water. In developing world the share of urban population living in slums came down to 33 per cent in 2000 from 39 per cent in 2000. The millennium development goal asserted that the developing countries have also marked considerable achievements in education as many more of the world`s children are enrolled in school at the primary level, especially since 2000. Girls have benefited the most. On the front of AIDS control, the developing countries have achieved tremendous fate as at the end of 2012 nearly 6.5 million people in the developing countries were receiving the antiretroviral therapy for HIV AIDS. United Nations Human Rights Council (UNHRC), the Geneva based human rights wing of UN, on 5th July 2012, adopted a first ever resolution to protect the online human rights of global citizens. The resolution adopted by consensus, stated that citizens of the world are as much entitled to the human rights online as they are offline. The resolution noted that there can be no double standard with regard to people`s right of fundamental freedom and since internet makes a major part of present world`s communication process, all governments must endeavour to protect the online rights of its citizens. The landmark resolution was sponsored by Sweden and co-sponsored by over 80 countries, that includes United States, Brazil, Turkey, Nigeria, and Tunisia.